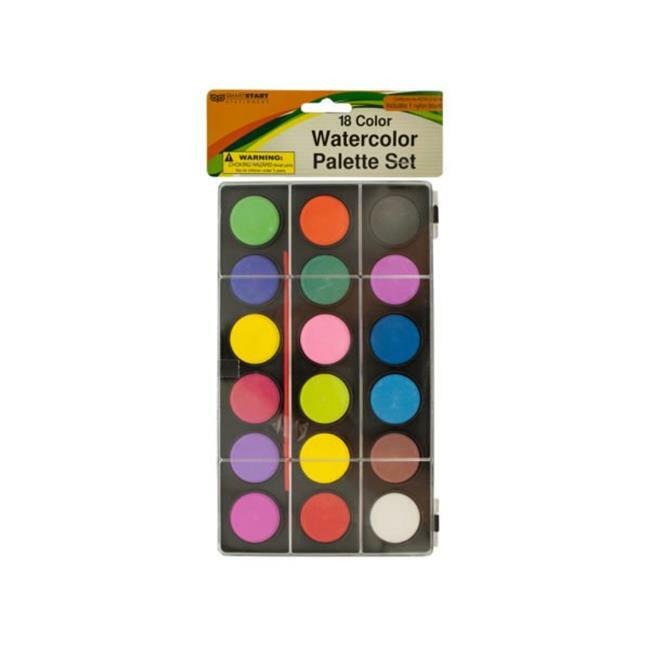 Create colorful masterpieces with this 18-color Watercolor Paint Palette Set featuring a large assortment of color cells with a nylon brush in a plastic snap case. Just add water to colors and paint. Case measures approximately 9'' x 5.25''. For ages 3 and up. Comes in a poly bag with a header card.